The Caring Community at CCUMC offers the following support groups, open to all. 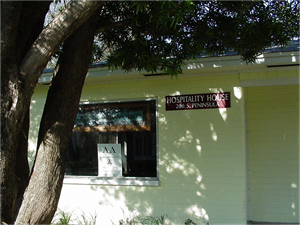 Many groups meet in the Hospitality House, 200 South Peninsula Avenue; parking is available in the CorMeth Park across South Peninsula Avenue – enter from Columbus Avenue. At Hospitality House: Sunday @ 8:00 p.m. ; Monday-Friday @ 7:30 a.m.; Wednesday @ 7 p.m.; Thursday @ 7 p.m.; Saturday @ 8:30 a.m. and 7 p.m.
At Hospitality House: Monday @ 7:00 p.m.; Wednesday @ 8:30 p.m.; Friday @ 8 p.m.; Saturday @ 8:30 a.m.
At Hospitality House: Tuesday & Thursday @ 8:30 p.m.
At Hospitality House: Monday @ 5:45 p.m.
At Smyrna Sea Shack: 1st & 3rd Wednesdays @ 3:00 p.m.